FK Lowry Piling has completed a Piling Sub-Contract to install 205No. 300mm Dia. 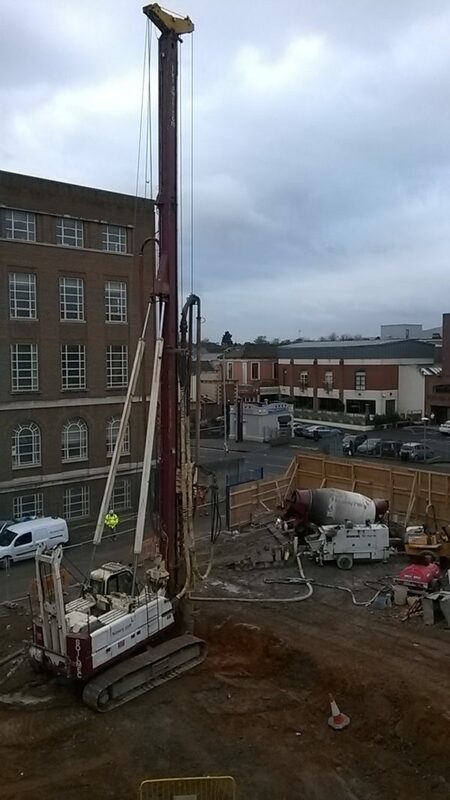 CFA Piles for the new Bernard Crossland Building at Queen’s University, Belfast. FK Lowry Piling were contracted to install 300mm Diamenter Piles to 18m, founding into the medium dense – dense Sands to carry working loads of up to 500kN.